Braintree netted twice in the first 17 minutes to beat Conference Premier promotion rivals Nuneaton Town and record their third win in six days. After Boro defender Theo Streete's eighth-minute own goal, Dan Holman doubled Braintree's lead with a left-foot shot into the bottom corner. Dave Hibbert got one back 20 minutes from time with a left-foot 20-yarder. Braintree top scorer Dan Holman's seventh goal in nine games took his tally to 11 for the season. But Braintree held on to secure all three points, climbing above their opponents into fifth place. Braintree's winning run started on Saturday with a 1-0 victory over Aldershot, before Tuesday night's 2-0 triumph at Welling United. This was Nuneaton's second straight defeat since Boro boss Kevin Wilkin's departure to join fellow Conference Premier side Wrexham a week ago. Nuneaton could have been further behind had Bermuda international keeper Dale Eve not made excellent stops on his debut to thwart Kenny Davis and Mulley just before half-time. Wolves defender Jordan Cranston also made his Boro debut following his arrival on loan until the end of the season. Match ends, Braintree Town 2, Nuneaton Town 1. Second Half ends, Braintree Town 2, Nuneaton Town 1. Attempt missed. Wes York (Nuneaton Town) right footed shot from outside the box misses to the right. Offside, Braintree Town. Alex Jakubiak tries a through ball, but Alex Jakubiak is caught offside. Hand ball by Wes York (Nuneaton Town). Attempt blocked. Daniel Sparkes (Braintree Town) left footed shot from outside the box is blocked. Phil Trainer (Nuneaton Town) is shown the yellow card for a bad foul. Substitution, Braintree Town. Alex Jakubiak replaces Dan Holman. Attempt saved. Dan Holman (Braintree Town) left footed shot from the right side of the box is saved. Foul by Connor Taylor (Nuneaton Town). Attempt saved. Dean Wells (Braintree Town) header from the right side of the box is saved. Assisted by Daniel Sparkes. Goal! 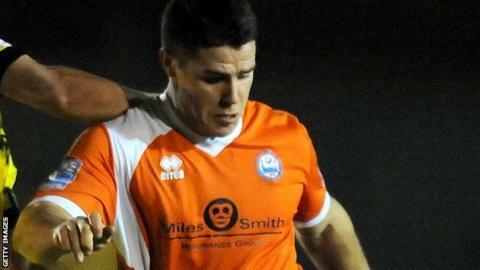 Braintree Town 2, Nuneaton Town 1. Dave Hibbert (Nuneaton Town) left footed shot to the bottom left corner. Substitution, Nuneaton Town. Jon Adams replaces Greg Pearson. Attempt missed. Dan Holman (Braintree Town) left footed shot from outside the box misses to the right. Attempt missed. James Mulley (Braintree Town) right footed shot from the centre of the box is too high. Assisted by Dan Holman with a cross. Foul by Gareth Dean (Nuneaton Town). Attempt blocked. Chez Isaac (Braintree Town) left footed shot from outside the box is blocked. Attempt missed. Dan Holman (Braintree Town) right footed shot from the right side of the box misses to the left. Attempt saved. Sean Marks (Braintree Town) header from the right side of the box is saved. Assisted by Kenny Davis with a cross. Substitution, Nuneaton Town. James Armson replaces Danny Sleath.